This was my second time at Flores and it didn’t disappoint. Much like Tikal, my last visit was waaaaay too brief so this time I gave her 3 nights and was glad I did. Situated on an island on Largo Peten Itzá, it has the proud distinction of being the last independent Maya state to hold out against the Spanish conquerors. 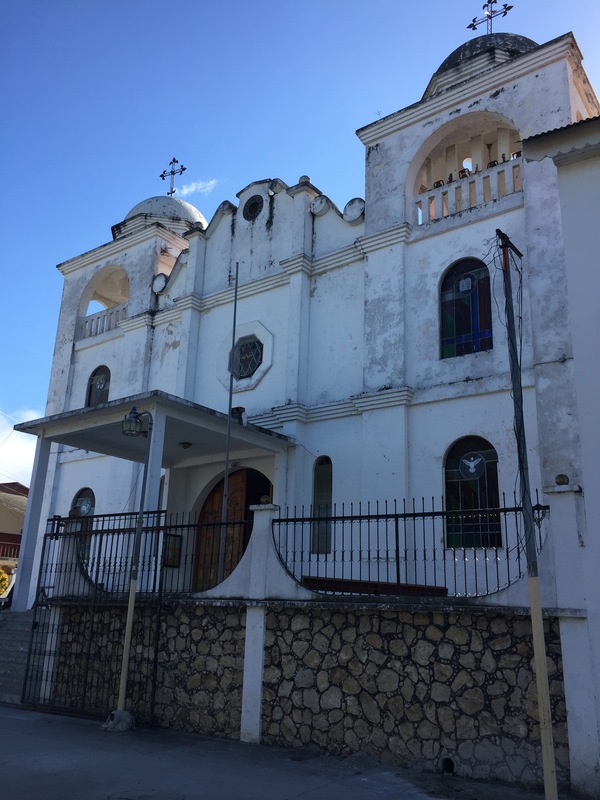 They were not conquered until 1697 when the Spanish destroyed it and the ‘modern’ town was built on its ashes, including the church which was built on top of the Mayan temple using the old stones. It is charming with cobblestone streets, little alleys that cut through, flowers everywhere and as long as you don’t go over a bridge, you can’t be lost for very long. Since there is a plethora of restaurants of all sizes and prices you won’t have any trouble staying fueled. I rented a boat and guide for 3 hours and had a marvellous time exploring the lake. We started out at ARCOS, a wildlife rescue centre where I met my first cougar and jaguars. Mind boggling that these are ex-pets… the male jaguar was super friendly but that darn cougar scared the bejeezus out of me. I have never been looked at like how he did me, he was on the platform in the middle of his large cage but my blood ran cold! And apparently, he was kept in the house! I didn’t ask what happened to the owner. It is heart breaking because these animals can’t ever be freed and will live out their lives in a cage because some human thought their desires were more important than these animals’ lives. Captain managed to scoop his dinner from the lake! Some of the town was flooded because of the heavy tornadoes last year but that doesn’t stop the boats from plying their trade anyway. I stayed at Hotel La Casa Del Lacandon, I booked through Airbnb but because Oliver has a variety of room you might get a better idea of your choices at other booking sites. I had a marvellous time there, the restaurant/bar was great and I was grateful that both were shut down at 10pm so as not to bother the guests. As Oliver said, there’s a ton of bars that are open later stumbling distance from his hotel if people felt the need. The view from both levels of the restaurant was gorgeous, guaranteed a front row seat every night for the gorgeous sunsets. He even upgraded me so I got my own balcony to watch it! <3. There was a full moon when I was there! Mists in the morning made everything soft and quiet. Magical full moon from my room. Amazing sunsets from my room. If you come to the area for Tikal, make sure you carve out a few days to stay at Flores and say hello to Oliver for me :). 1 More Sleeps Till ….